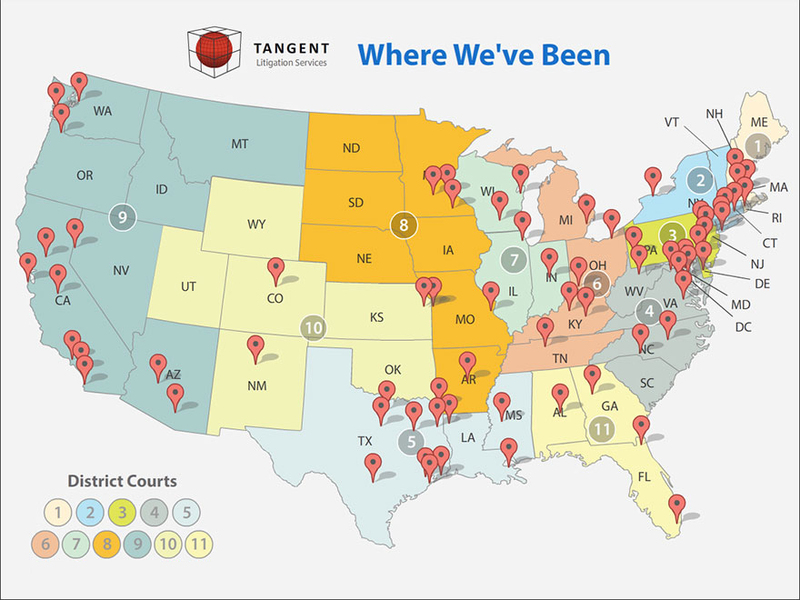 Tangent has delivered presentations all over the country. See the federal courthouses across the nation, & smaller ones in between we've been in! Interact with the pinpoints and the different districts in the legend!